Pfizer has revealed new Phase 2 data on its 20-valent pneumococcal conjugate vaccine candidate, known as PF-06482077 (20vPnC), detailing the efficacy of the product in preventing invasive disease and pneumonia caused by Streptococcus pneumoniae at the 29th European Congress of Clinical Microbiology and Infectious Diseases (ECCMID) in Amsterdam. The findings were derived from 444 adult subjects aged between 60 and 64. Patients were randomised to receive either the 20vPnC vaccine or Prevnar 13 (13vPnC); a month later, these two groups of patients were given a saline placebo injection or a 23-valent polysaccharide vaccine respectively. PF-06482077 includes the 13 serotypes contained in Prevnar 13 as well as seven additional serotypes: 8, 10A, 11A, 12F, 15B, 22F, and 33F. “Robust” responses of opsonophagocytic activity were observed in all 20 serotypes, and it was shown to have a safety profile in line with historical data on Prevnar 13, with no deaths or serious adverse events reported. 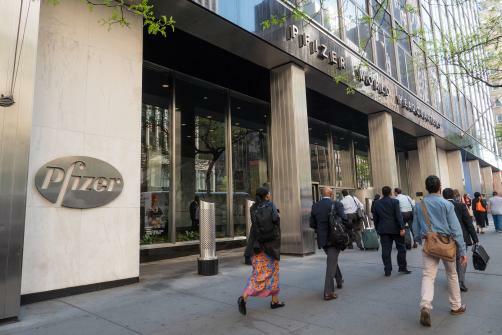 Pfizer now intends to progress development of PF-06482077 into Phase 3 clinical trials.